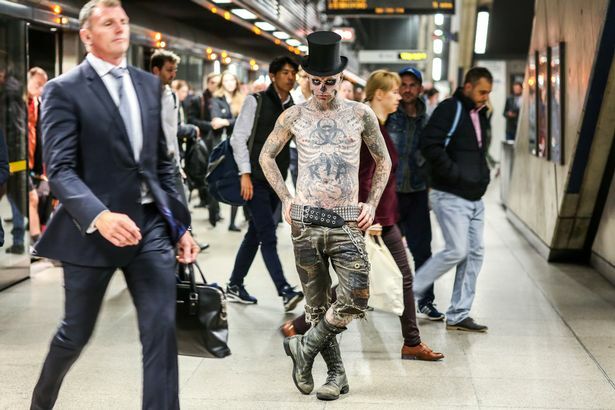 Genest wasn’t born that way but had spent thousands on bone and organ tattoos to transform himself into a freaky living skeleton. His unique look brought him to the attention of photographers, model agencies and fashion houses. He was once the face of rapper Jay Z’s Rocawear fashion label and also modelled clothes for French fashion designer Theirry Mugler. 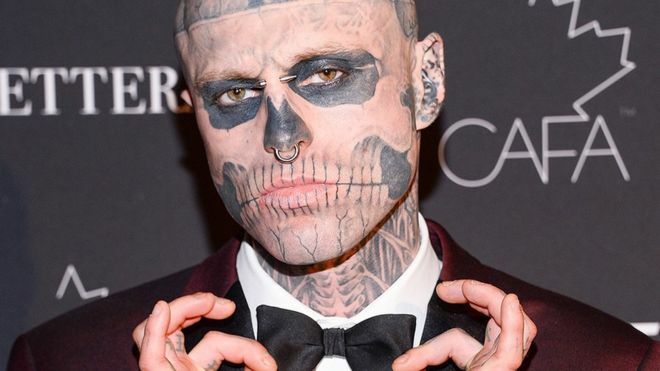 Zombie Boy’s body was found on the ground outside his Montreal apartment on August 1st 2018.His family believe his death was a tragic accident and that he had fallen from his 4th floor balcony while smoking but Canadian police have ruled that his death was caused by suicide.